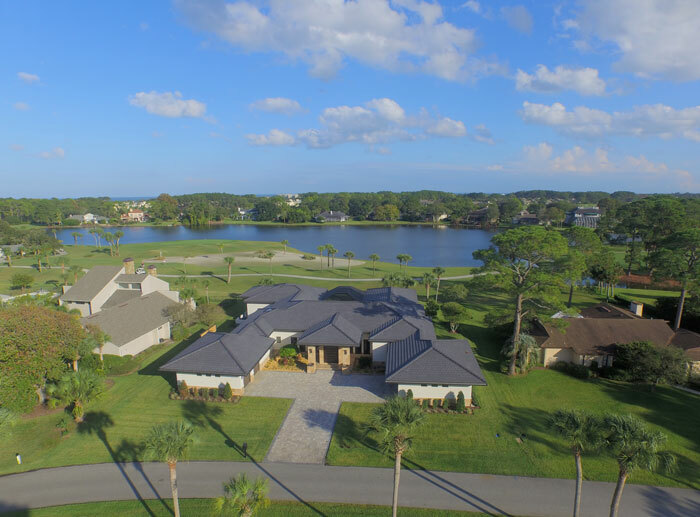 Built between the beautiful beaches of the Atlantic Ocean and spreading west to A1A, the Sawgrass Country Club experience features social and active lifestyles in the heart of Ponte Vedra Beach replete with fun activities for all ages. This established community is a gated community with a North, South, East and Beach security gate, located on A1A and Ponte Vedra Blvd. Within the community, there is a large clubhouse and country club with membership open to residents and non-residents and an oceanfront beach club offering resort amenities including fine dining under separate membership. With homes ranging from 545 square feet to 6,507 square feet. North Gate on Preston Trail East: Lake Kathryn, Kathryn Oaks, Fisherman’s Cove, Tifton Way, Deer Run, Quail Point 1 & 2, Rough Creek. South Security Gate on Preston Trail: Garden Homes and Willow Pond. On Sawgrass Drive South: Walker’s Ridge and Village Walk. ‍On Sawgrass Drive South: Walker’s Ridge and Village Walk. Like many close-knit gated communities in Ponte Vedra Beach, Sawgrass Country Club offers a full year-round calendar of activities. These range from club-sponsored annual events like a Polar Bear Plunge at the pool in January to summer block parties. The best way to get to know the community is to attend the activities that are open to the public. According to their website, about one third of Sawgrass Country Club members are non-residents. Within the community, Sawgrass Country Club homes range from traditional patio homes to large multi-million dollar luxury estates. The community is home to a large number of retirees and seniors with a growing contingent of younger professionals and families. Residents are attracted to the area not only by the natural beauty and proximity to the beach, but also by the value offered by the well-established country club. Because of its sidewalks, lush landscaping, lakes and golf course views many residents are seen walking, bicycling or on their golf carts and always with a friendly wave. The Club features a 27-hole golf course designed by Ed Seay, consisting of the East nine, West nine and South nine, all of which have had the fairways, tees and bunkers recently renovated by Robert Walker, a protégé of Ed Seay, as part of the club’s master plan. Future work includes the greens, bridges, cart paths, drainage, bulkheads and irrigation system. These improvements showcase Sawgrass Country Club’s commitment to golf and being amongst the best courses in Northeast Florida. Featured in Golf Magazine, Golf Digest, and Golf Week Magazine, the Club used to play host to the Players Championship, which moved to TPC Sawgrass. In addition to the three nines, the Sawgrass Country Club’s golf options include a putting green, driving range, chipping green and practice bunker. Clinics and lessons are available year round as are social golf activities with formal and informal groups for men and women playing most weeks of the year. Sawgrass Country Club is also a tennis-lover’s haven with 13 Har-Tru courts. The five-star Racquet Club has appeared in Tennis Magazine and World Tennis and is widely recognized as one of the best on the First Coast. The facilities include 4 lit courts for night play and stadium-style seating to give a comfortable spectator area for friends, fans and family. The Racquet Club offers clinics, lessons and teams for men, women, seniors and juniors. There is no need for a separate gym membership for County Club members. The Sawgrass Country Club is home to a 6,800 square foot fitness facility with conditioning equipment, weight machines and free weights. The gym is fully staffed with personal trainers, fitness professionals and massage therapists. The club offers a variety of group exercise classes seven days a week. In addition to the typical menu of classes, the fitness center also offers Yoga for Cancer Patients, lower back exercise and on site physical therapy. There are also specific sports programs offered through the fitness center such as surfing, fitness for tennis players, surf fishing lessons and stretching for golfers. With such a wide variety of classes available, it’s easy to stay active and get involved at Sawgrass Country Club, even if you don’t play tennis or golf. Amenities include a heated lap pool, indoor and outdoor group fitness classes and massage therapy. When talking about the Sawgrass Country Club, it’s impossible to ignore the beautiful beach club and clubhouse available to members. Renovations to this 24,000 square foot recreation center will be completed in March 2016 to include replacing the family pool, renovating all the indoor dining and bar areas, outdoor decks, and an expansion of the SandBar Bistro at the Pavilion. Dining options include the Inn-Between, Grill Room Bar, Golf Clubhouse, the Topsider, Ocean’s Edge, Oasis Deck and Ocean Bar and the SandBar Grill. A wide variety of dining options are available through these different venues, from casual snack bar style meals to gourmet multi-course dining and wine tastings. At the Sawgrass Country Club clubhouse, you’ll find swimming options to satisfy everyone in the family, including an “Olympic+” size lap pool open to families and a beach-side adults-only pool. Membership at the Sawgrass Country Club comes in many shapes and sizes, including Preview, Country Club, Associate, Junior and Guest membership packages. The club also offers different payment plans including interest-free installment plans and deposit plans for those who live outside of the five county area.